In the deluge of WWDC announcements, there was the brief mention of a technology that is going to save you a ton of space on your devices: HEVC and HEIF. These are two file formats, one for video and one for photos, respectively. Apple is already building these into hardware and software on iOS and the Mac, with support available in the upcoming iOS 11 and macOS High Sierra updates. HEVC stands for High Efficiency Video Coding, while HEIF stands for High Efficiency Image file Format. HEVC is industry standard, not just a new Apple only file format. 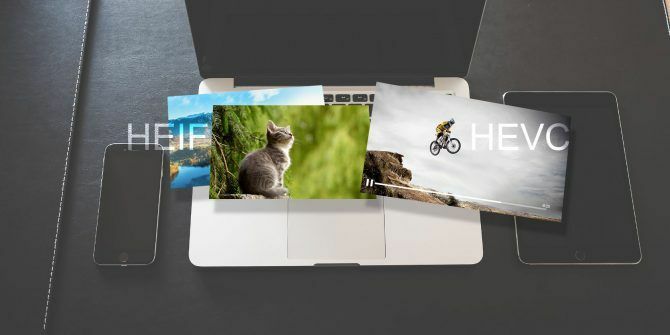 HEIF is an image format based on the same principals as HEVC. Each is designed to save you space on your devices, as well as bandwidth when streaming video. Because of the proliferation of HD video, as well as short-form videos to social networks, Make Videos for Any Social Network With Apple Clips Make Videos for Any Social Network With Apple Clips Apple has a new iOS app for making short videos to share on social networks, but is it any good? Read More Apple says now is the time to push the new codecs and move the whole industry forwards. Simply put, codecs are used to shrink media and image files down to save space on the disk. This is a generalization, for in-depth details check out our explainer on codecs for a precise definition All You Need to Know about Video Codecs, Containers, and Compression All You Need to Know about Video Codecs, Containers, and Compression Explaining the difference between codecs and containers is relatively simple, but hard part is attempting to understand each format. Read More . 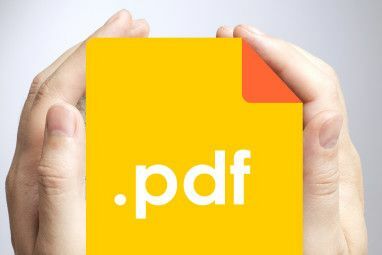 The file formats used to save your media that can implement various kinds of codecs are named containers. HEVC is a derivative of the popular H.264 format, and similarly handles compression. That is why the ITU-T standards body gives it the name of H.265. H.264 is the most pervasive format for online video, so it is likely that you are using it most days. HEIF uses the same formatting as HEVC and applies it to image compression. Forcing users and developers alike to adopt any new format can be painful. What are we gaining by Apple pushing this is the default format? The highlights from the WWDC talk promise a 40% improvement in compression. For video captured from the iOS camera A Quick Start Guide to the iPhone Camera A Quick Start Guide to the iPhone Camera The iPhone is still the most popular point-and-shoot camera on the planet, but many users still aren't away of all that the camera can do. Here's what you need to know. Read More , files can be half the size of those encoded with H.264. These improvements come from the small tweaks made to the way that video is encoded. Like H.264, HEVC handles frames in a series of “macroblocks,” but HEVC allows for much larger block sizes. These larger block sizes allow the greatest compression improvement. There’s improved motion coding as well, including support for measuring motion at a sub-pixel level. That change should improve artifacts when a video is in motion, while the new codec should improve video quality overall. The most straightforward way to describe the HEIF format is applying the principals of HEVC to images. HEIF is another industry standard, not just an Apple-only format. Like HEVC, HEIF has an improved compression rate, Apple reporting almost twice an improvement. Definitely a time saver for uploads: video we just encoded is 1.74GB h.264, 795MB HEVC. Remember that CPU encoding is a lot slower though. HEIF has better support for animated photos, so it is a natural fit for Live Photos and animated GIFs How to Turn iPhone Live Photos Into GIFs in One Easy Step How to Turn iPhone Live Photos Into GIFs in One Easy Step Live Photos are great but they're limited because you can only share them with other iOS 9 and El Capitan users. Here's how to quickly convert them to universal GIFs instead. Read More . Photographers should like the format’s improved support for non-destructive edits. That means as you make changes to the original file, the original is always available. The edit data saves as a transformation function using the HEVC format. Compatible with the ISO file format, the supported extension in the Apple ecosystem is .HEIC. 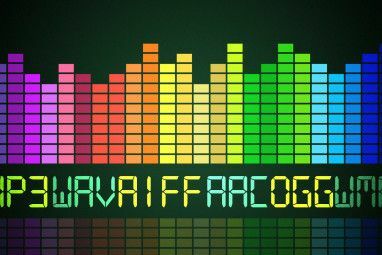 There are different formats for other codes introduced at WWDC: .AVCI for H.264 encoding and .HEIF for all other codecs. Apple is going all-in on HEVC and HEIF. The new formats will be available in iOS 11 and macOS High Sierra. However, there is already hardware support built into existing iOS devices. Anything with an A9 processor or later is already able to use hardware decoding. The A10 processor has hardware encoding as well (allowing you to write to the format). Hardware encoding means a lower hardware overhead for these devices. On the Mac side, Intel 6th-generation processors Intel Skylake CPUs: 3 Things to Know Before Upgrading Intel Skylake CPUs: 3 Things to Know Before Upgrading Thinking of upgrading to an Intel Skylake CPU but not sure if you should? Here's what you should know to help make that decision easier. Read More or later have hardware decoding. Hardware encoding is limited to Intel’s 7th-generation processors Intel's Kaby Lake CPU: The Good, the Bad, and the Meh Intel's Kaby Lake CPU: The Good, the Bad, and the Meh Kaby Lake is Intel's next processor. How much does it improve on the Skylake processor? What are the drawbacks and limitations? Here are four things you should know about it. Read More . All other supported systems use software encoding and decoding. The higher resources for software decoding means some devices will not play videos. In real terms, that means iPhone 6s (and later) owners can use hardware decoding, while iPhone 7 and later will be able to use hardware encoding. HEVC and HEIF are built into the APIs and frameworks for iOS and macOS. Many developers are going or have a painless transition to supporting these formats. Even if you do not watch that much video, Photos is going all in on HEIF. That means you are going to start using it almost immediately when your iPhone upgrades. It is not yet clear if that means that Apple will update your existing library to the new format. That choice could give you some returned space on your device. Then I realized that only my PC & iPhone can actually play HEVC videos because nothing else is powerful enough. The future isn't here yet. Apple is also looking to reduce the transcoding your device needs to do. They are going to check the destination of your video for compatibility. For example, sharing videos between apps with the share sheet: if HEVC is supported, the app will get the decoded video to start working with. Devices sharing via AirDrop 9 Quick Ways to Share Files & Folders from a Mac 9 Quick Ways to Share Files & Folders from a Mac Sick of dragging files into email messages whenever you want to share something? There might be a better way. Read More will check for comparability as well. It is an impressive way to save CPU cycles for older devices. Video and image codecs are not going to be the highlight of the keynote WWDC '17: HomePod, iOS 11 & Apple's Other Top Announcements WWDC '17: HomePod, iOS 11 & Apple's Other Top Announcements Overwhelmed by WWDC? You don't need to be. Here are all the important announcements from Apple's 2017 keynote. Read More for most people. However, they will change the way that your hardware and software work. It shows that Apple focused on improving the fundamentals of the OS. Instead of just chasing Keynote features for the tech press. Changing an ecosystem’s preferred format for both video and images is not going to simple. You can expect that not all developers will get the memo, so expect to give some developers time to adjust to the changes. Were you desperate for Apple to make the change to H.265? Let us know in the comments. Explore more about: File Compression, iOS 11, macOS High Sierra, Video. How much does it cost to license HEIF ? 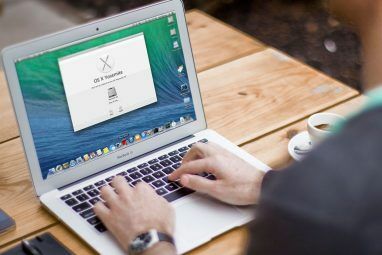 New macOS, New Filesystem: What Is APFS and How Does It Work?